The Garvens C-Series is available as a combination system with a choice of vision, x-ray and metal detection technologies to ensure that smaller footprints are achieved. Combination systems offer complete inspection solutions to safeguard the brand reputation and for best possible quality. Due diligence options make them ideal as a Critical Control Point. 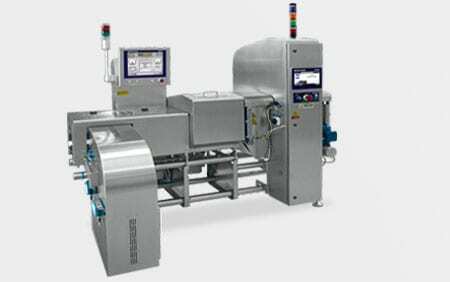 These compact and space saving systems fully support food safety frameworks based on a hazard analysis such as HACCP and HARPC, and they are ideal as Critical Control Points. Detailed statistical data and one of the largest ranges of product handling options make the C-series combinations a key component in proving due diligence. Highly customisable with 180 performances and productivity enhancing options. Product handling variants include side grip conveyors, starwheels and specialised guide rails ensure flawless product flow. A throughput of up to 200 packs per minute, a weighing range from 20 g to 6 kg and high weighing accuracy positions the CM31 StandardLine as best in class for efficient and reliable metal detection an weighing application. Configurable with 80 performances and productivity enhancing options. Best-in-class product handling and accuracy with specialised guide rails to ensure flawless product flow. 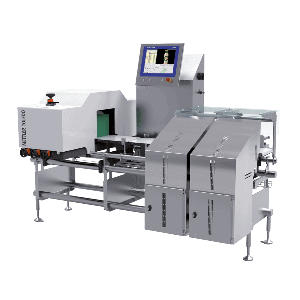 A throughput of up to 600 packs per minute, a weighing range from 3 g to 10 kg and extremely high weighing accuracy positions the C35 AdvancedLine at the vanguard of checkweighing and metal detector technology. Available as a combination system with a large range of advanced Safeline Profile metal detectors to ensure that smaller footprints are achieved. Due diligence solutions make it ideal as a Critical Control Point for best possible quality. 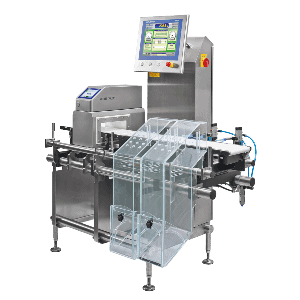 The CV35 AdvancedLine is the first product on the market that combines checkweighing and vision inspection – designed to prevent a label mix-up and weight verification in a single process. Immediate detection of label mix-up saves costs of recovery and rework and minimises the risk of a recall. 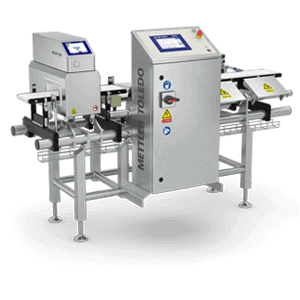 Controlling the labeling and printing quality maximises product control and consumer satisfaction. Installing a total quality control system helps meet retailer demands for certification and complies with BRC and IFS quality assurance criteria. 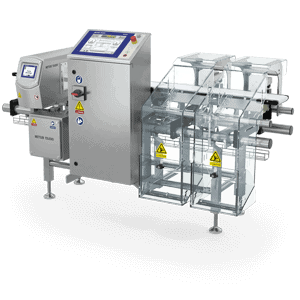 Combination systems allow you to quickly and precisely determine weight, whilst ejecting undesired contaminants or visually check the product label quality or integraty – all in a single operation. The productivity of your whole production is thus increased. 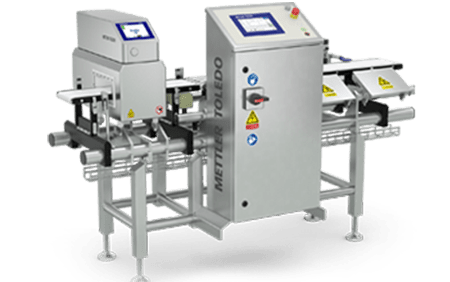 Our advanced, proven multi-frequency systems guarantee reliable metal detection – even when processing difficult products – plus the precision-performing checkweigher also ensures full compliance with regulations and legal requirements. Your consumers can thus be sure of receiving contamination-free products. Shards of glass, pieces of plastic and bone fragments are ‘invisible’ to metal detectors. 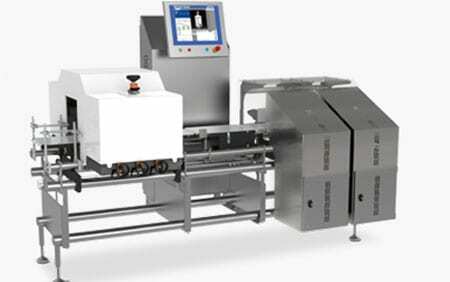 However, they can be detected by the X-ray CombiWeigher, thanks to its comprehensive X-ray inspection system. Various X-ray systems are available catering to every application – and even glass shards can be reliably detected in glass containers. Manufacturers in highly regulated industries investigating ways to reduce the possibility of label mix-up is a critical and constant task. 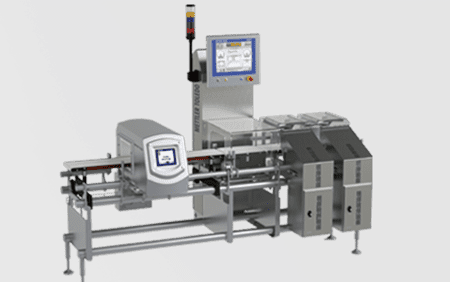 Systems that combine checkweighing and visual identification offer accurate inspection of product labels as well as reliable weight check in a single process. The system helps manufacturers minimise any product rework, retrieval and recovery, and ensures expensive product giveaway while complying with labelling guidelines and Weights and Measures legislation. Central operation of the checkweighing combination system takes place on the same screen – making product changeovers, production statistics faster than ever before. Images from contamination detection, which can be saved for viewing at a later date, ensure reliable documentation of your production processes. Full compliance with legal requirements and regulations such as FDA, IFS, BRC standards ensure your consumers can thus be sure of receiving contamination-free products. 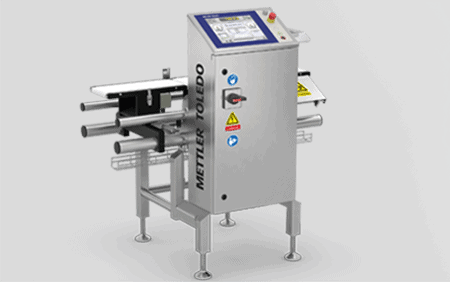 The compact design of combination systems save valuable floor space in your production line. Combination systems are ideal for use in the highly regulated industries such as food, cosmetics and household chemicals and in many other applications – the combination units perform both true-weight measurement and combine the world’s best in metal detection, x-ray and visual inspection technology. From simple interface to complete turn-key solution. The most comprehensive communications available: Ethernet TCP/IP, RS232/422, Fieldbus interfaces (Ethernet IP, DeviceNet, ControlNet, Profibus DP), OPC Server (UA/DA), Freeweigh.Net connections and ProdX.